While the quarterback position in college football is the most coveted one, it’s also the most competitive one. For one to be a productive college quarterback in this day and age, one must possess five qualities: leadership, accuracy, precision, good decision making and toughness. Sometimes in order to be a great quarterback, you have to develop patience and wait your turn. Like Rome, great quarterbacks aren’t built overnight. It takes a ton of hard work, preparation, film study and trust to become an elite college football quarterback. With AJ McCarron pursuing the NFL, the Alabama Crimson Tide faced entering this offseason with a seven man quarterback battle for the job next season. 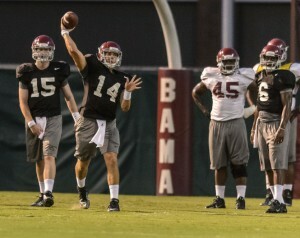 The seven players were Blake Sims, Parker McLeod, Alec Morris, Cooper Bateman, David Cornwell, Jacob Coker and Luke Del Rio. During the regular season, Morris, Bateman and Del Rio were always seen huddled around McCarron gleaming wisdom from him along with Nick Saban and the staff. It appeared that for the most part, Bateman, Morris and Del Rio were the front runners for the job. However, a curveball was thrown in this assumption Wednesday (January 15, 2014), when Del Rio spoke via Twitter that he was going to take his game elsewhere. Either competition got too stiff for him or he was promised the starting job and didn't get it remains to be seen. For now, the former Crimson Tide walk-on and three-star recruit is enrolled at Oregon State University. With Del Rio transferring, the battle for Alabama’s newest signal caller is down to six. Though many would've loved to have Del Rio stay, the six quarterbacks that will be battling this offseason will be an interesting sight for fans and coaches alike. 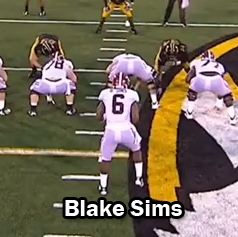 As a far as experience is concerned, Blake Sims would be next man up. He will be a senior next season and has gotten playing time in mop-up duty behind McCarron. At six feet, 202 pounds, Sims is a very athletic player. Alabama fans have known him as being an effective runner, but not so much as a prolific passer. 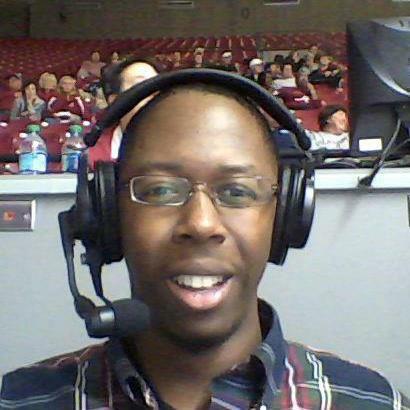 Sims’s best game this season came against Georgia State. In the match-up against the Panthers, Sims showed that he spin the pigskin beautifully. He completed 77.8 percent of his passes (14-18 passing) for 130 yards and a touchdown. Sims also had a touchdown pass against Colorado State. He ended this season with 167 passing yards and two touchdowns. With Lane Kiffin as the offensive coordinator, it will be interesting to see how he will go about using Sims. At USC, Kiffin produced three 3,000 yard passers (Matt Leinart, John David Booty and Matt Barkley). He loves to air the ball early and often, the question is can Sims provide him with that? Sims would work if Kiffin decides to add more read and zone options to his offensive play calling. In the aspect of arm strength, Sims works well with short to intermediate passes. It will be the deep ball, post routes and back shoulder throws that he will need to work on. At 6-foot-3, 230 pounds, Alec Morris is the ideal quarterback for Alabama. He has the build and a great arm to compliment it. In the 2013 A-Day Game, fans and coaches were impressed with the way he was able to drive the ball downfield. He has tremendous arm strength and can make the necessary throws. In his senior year of high school, Morris was unbelievable. He passed for 3,242 yards with 35 touchdown passes and six interceptions. Despite him being a three-star prospect out of Allen, Texas, Morris is a very special player. If you wanted view the second coming of Brett Favre, Cooper Bateman is your man. Like Morris, Bateman has the quarterback build at 6-foot-3, 208 pounds. Bateman is a four-star recruit. He was ranked as the No. 3 pocket passer by ESPN and the No. 5 pro-style quarterback by 247 Sports.com. Though flashy ratings are flattering, it’s how you work on the field that determines your credibility. At Cottonwood High (Murray, Utah), Bateman was the man. In his senior season, Bateman passed for 2,384 yards with 15 touchdowns. The one thing that has impressed Saban and company about Bateman is his arm strength. The man can completely thread the needle and is very accurate with it. Weighing in at 6-foot-5, 241 pounds, David Cornwell will be the most physical quarterback on Alabama’s roster next season. Cornwell’s talents exceed far beyond his height. In his junior season in high school (Norman, Okla.), Cornwell lit defenses up. He passed for 2,742 yards with 27 touchdowns and eight interceptions. Like Bateman, Cornwell is a four-star recruit. Cornwell has a big arm and is very precise passing the ball. He demonstrates great touch, but can also thread the needle if need be. Despite suffering a knee injury in his senior year, Cornwell is rehabbing well and looks to be on campus this spring for competition. The cat and mouse game between fans, coaches and Jacob Coker continues. While many sports media outlets constantly say that Coker is headed to Tuscaloosa, Coker continues to downplay the conversation. Kevin Norwood has even hinted that Coker will be in crimson and white next season. As far as eligibility goes, Coker will be able to come in and play for Alabama. As a redshirt sophomore, Coker saw his opportunity to start for Florida State immediately slip away when Jameis Winston stepped foot on campus. Coker attempted just 36 passes (completed 18) for 250 yards in mop-up duty. Like Cornwell, Coker will be the other physical quarterback on the Tide’s depth chart. At 6-foot-5, 230 pounds, Coker has a great arm and possesses good footwork in the pocket. He can drop the ball in on a dime and move the chains on third down with pin point passing. At the University of Alabama, competition is always stiff. This is exactly how Saban wants it to be. He wants to get the maximum effort from all of his players and one leaves, it’s up to someone to step up. One thing for certain is whoever is under center next season; they will have a bevy of talent to work with. With Del Rio gone, the remaining question is which quarterback will rise out of the pack and call the shots from under center?